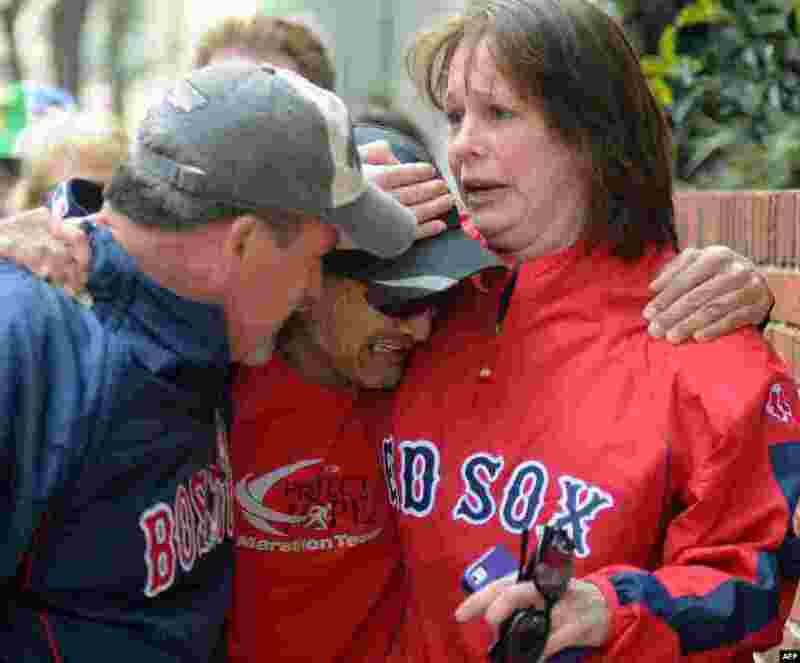 At least three people were killed and 176 people were injured, 17 critically, after two bomb explosions struck near the finish line of the Boston Marathon on Monday. 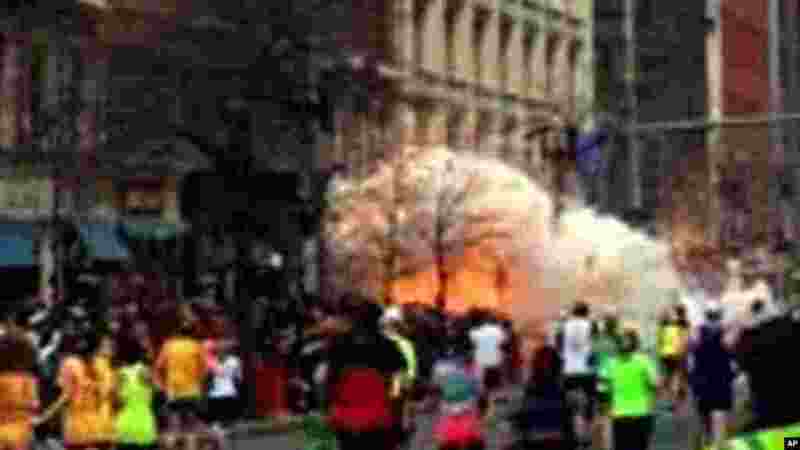 1 In this image from video provided by WBZ TV, spectators and runners run from what was described as twin explosions that shook the finish line of the Boston Marathon, April 15, 2013. 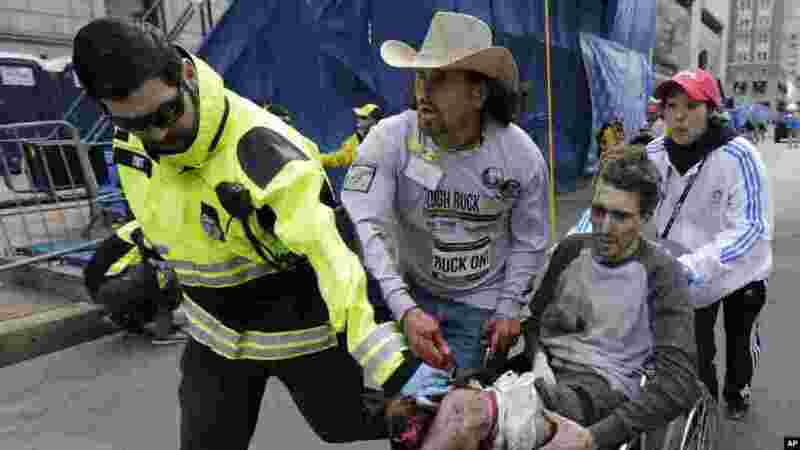 2 Medical workers aid injured people at the finish line of the 2013 Boston Marathon following explosions in Boston, April 15, 2013. 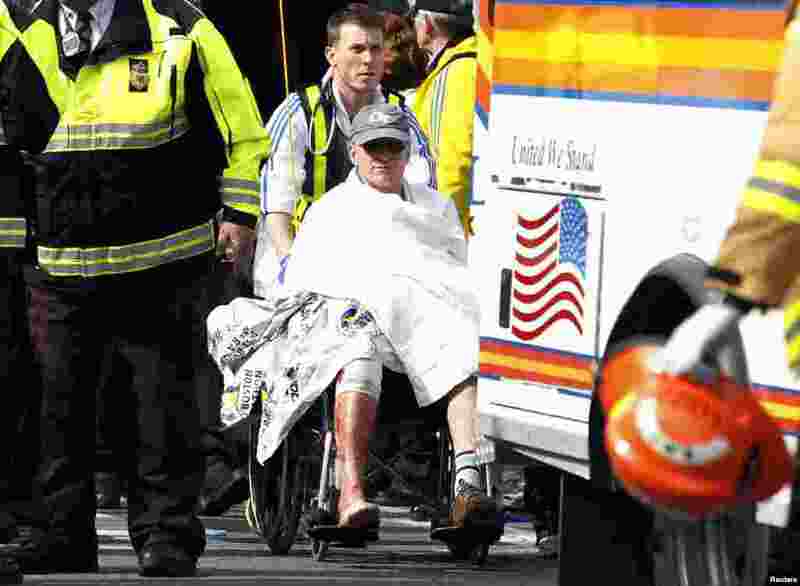 3 Medical responders run an injured man past the finish line the 2013 Boston Marathon following two explosions in Boston, April 15, 2013. 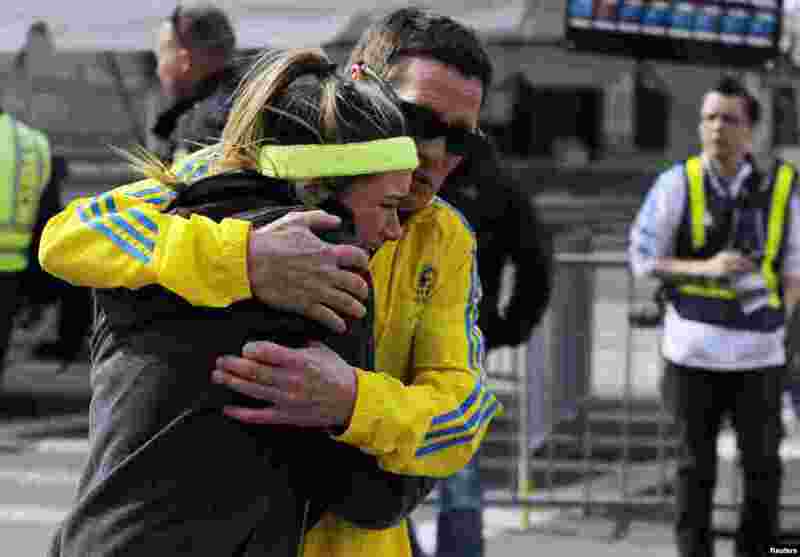 4 A woman is comforted by a man near a triage tent set up after explosions went off at the 117th Boston Marathon in Boston, Massachusetts, April 15, 2013. 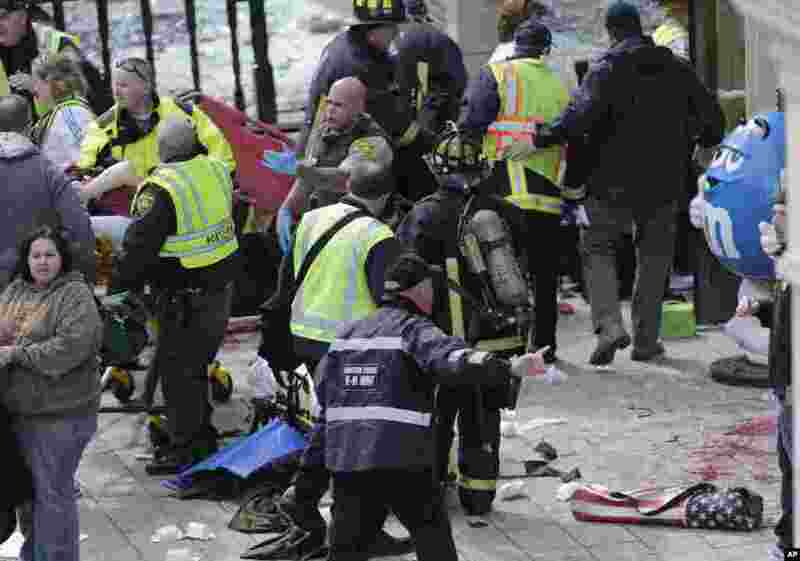 5 Medical workers aid injured people at the finish line of the 2013 Boston Marathon following an explosion, April 15, 2013. 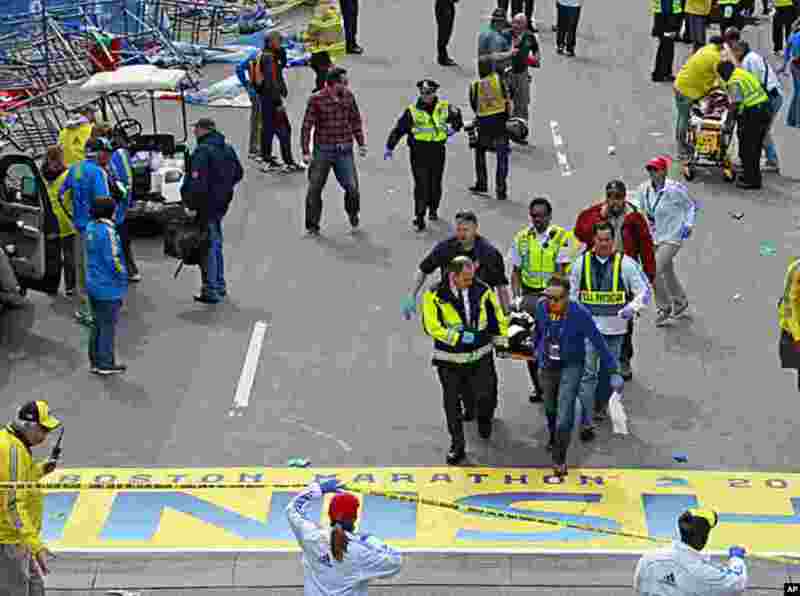 6 Medical workers aid an injured woman at the finish line of the 2013 Boston Marathon following two explosions there, April 15, 2013. 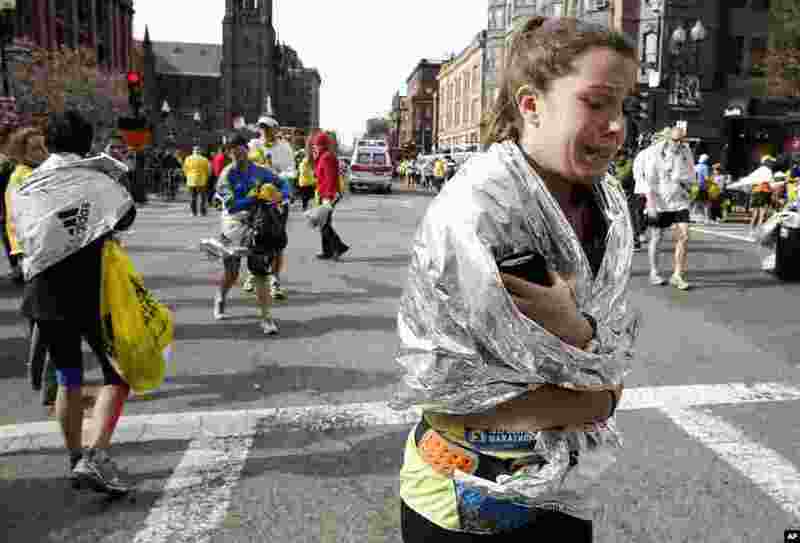 7 An unidentified Boston Marathon runner leaves the course crying near Copley Square following an explosion, April 15, 2013. 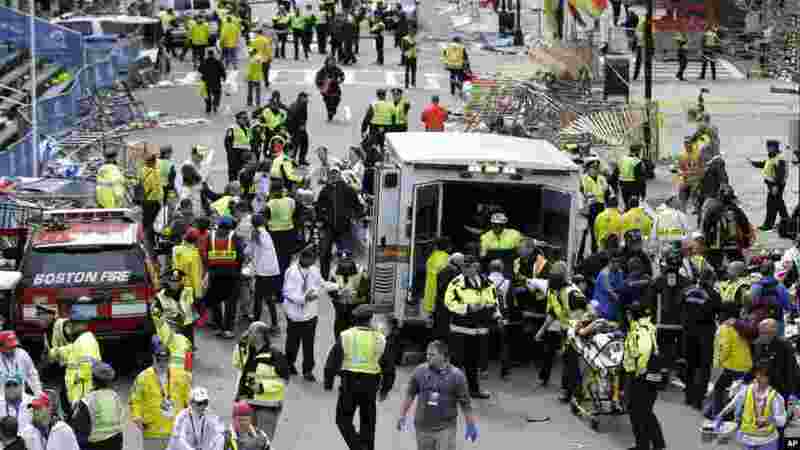 8 Medical workers aid injured people at the finish line of the 2013 Boston Marathon following an explosion in Boston, April 15, 2013. 9 Runner John Ounao cries when he finds friends after several explosions rocked the finish of the Boston Marathon, April 15, 2013. 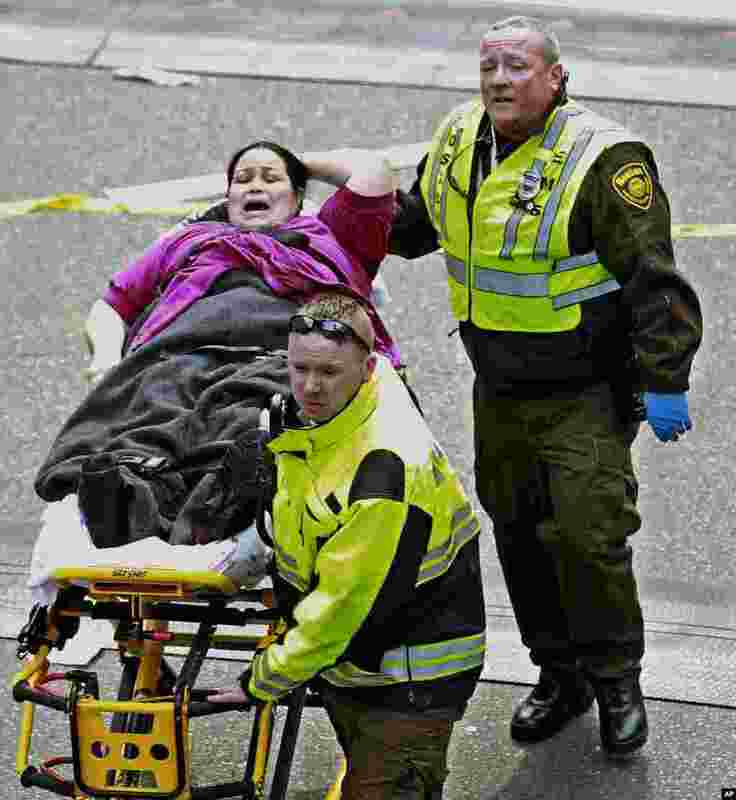 10 A runner in a wheelchair is taken from a triage tent after explosions went off at the 117th Boston Marathon, April 15, 2013. 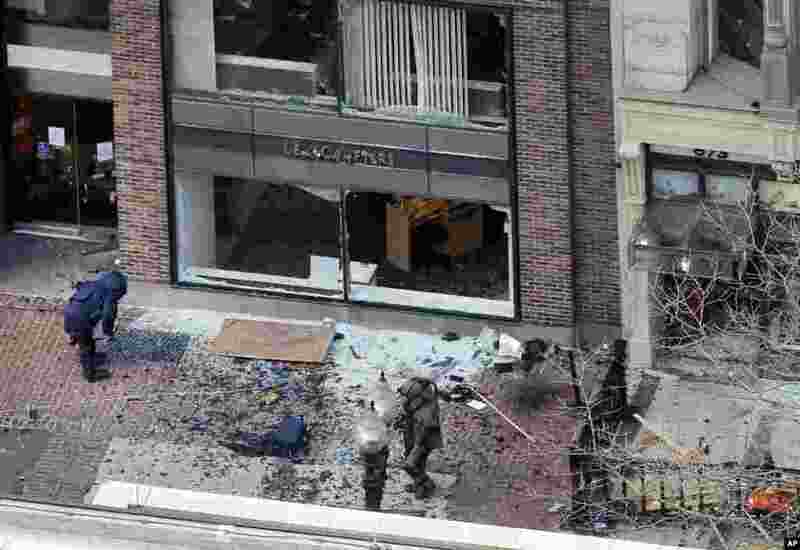 11 One of the blast sites on Boylston Street near the finish line of the 2013 Boston Marathon is investigated by two people in protective suits in the wake of two blasts, April 15, 2013. 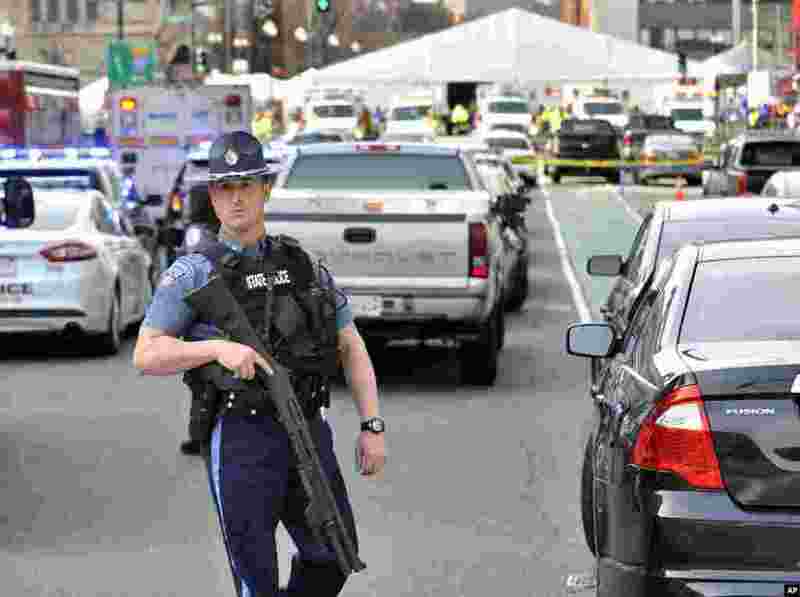 12 A Massachusetts state police officer guards the area containing the medical tent, rear, following an explosion at the 2013 Boston Marathon in Boston, Monday, April 15, 2013. 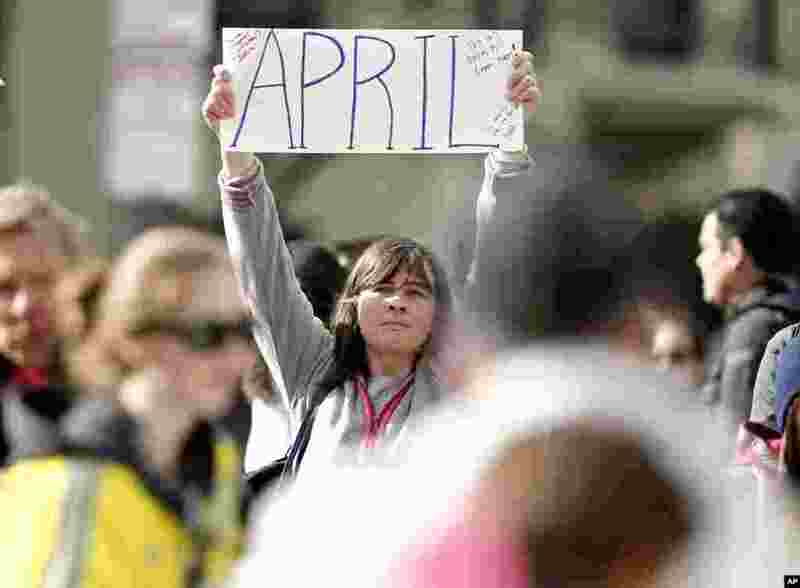 13 Justine Franco of Montpelier, Vermont, holds up a sign near Copley Square looking for her missing friend, April, who was running in her first Boston Marathon, April 15, 2013. 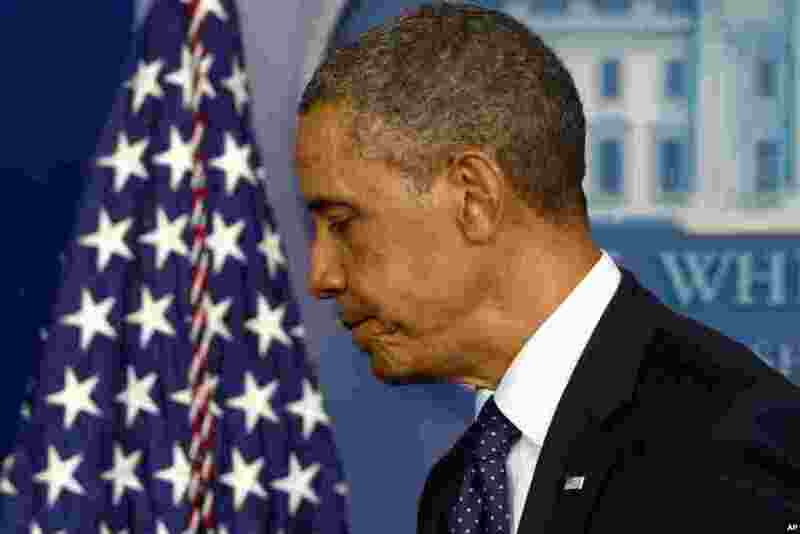 14 President Barack Obama leaves the podium after speaking in the press briefing room at the White House, April 15, 2013, following the explosions.